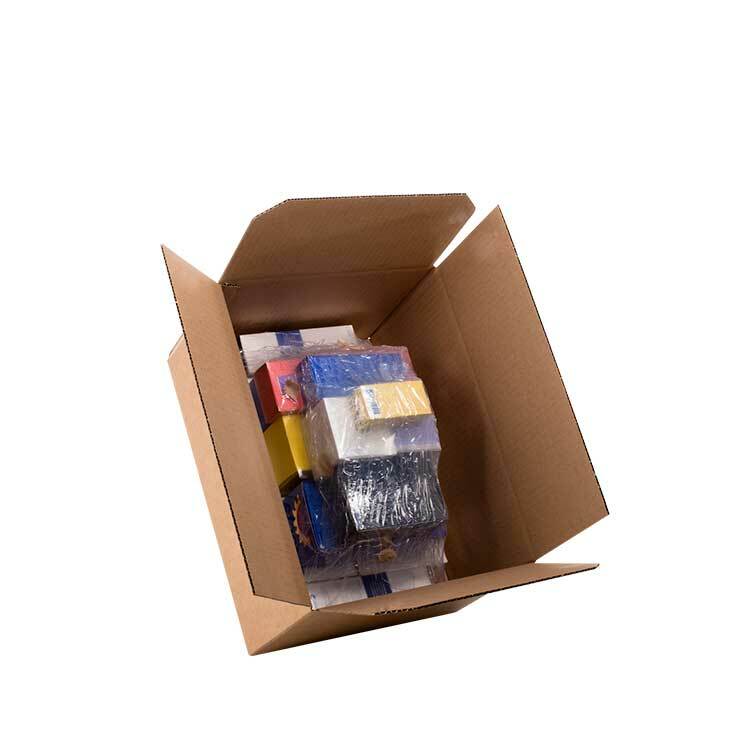 Stretch film packaging allows you to pack single or multiple products of different shapes and sizes in the same pack. 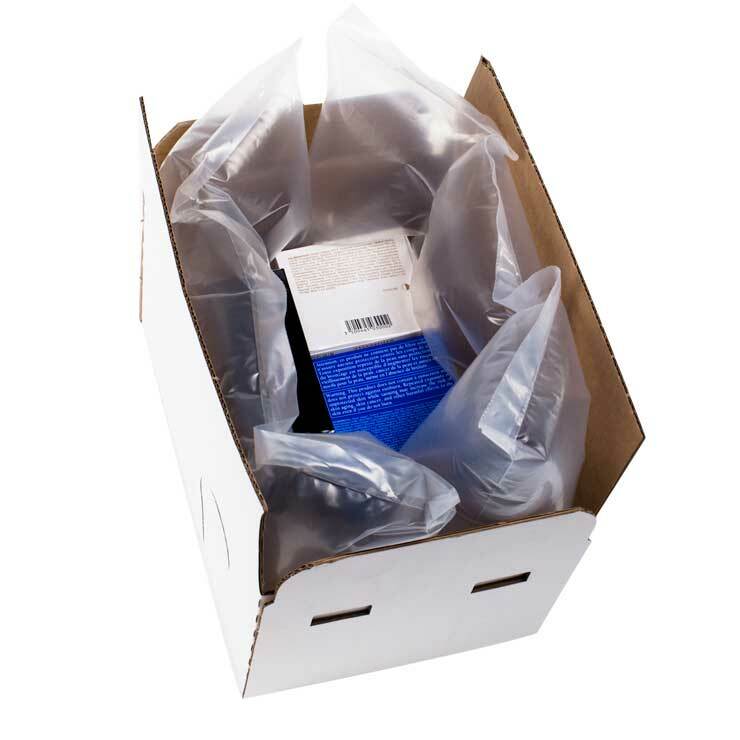 The pack comprises of a corrugated pad to which a polyethylene (PE) film is attached and an outer box. 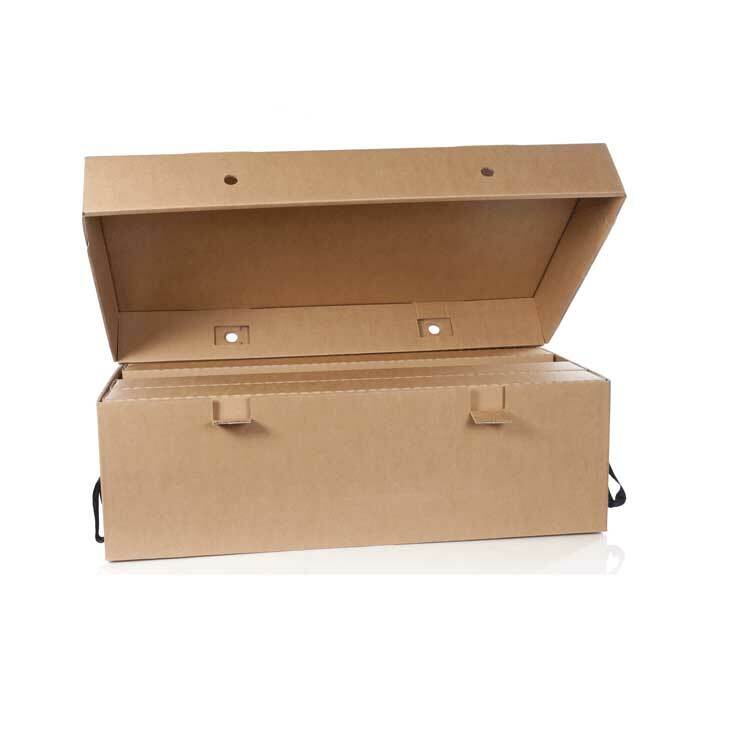 Stretch film packaging is quick and easy to use and is ideally suited to distributors or manufacturers who sell their product online or by direct mail. It offers the highest levels of protection and is designed to withstand the distribution chain so products arrive in perfect condition. Simply insert your product(s) between the corrugated pad and film then fold the corrugated flaps in an outward direction. This stretches the film around the product(s), creating the required tension to hold the contents securely in place. Place the products inside the box and seal for distribution. Stretch film packs simplify the packaging process by using only one style of packaging for different products, delivering both cost and productivity efficiencies.